In one of our recent posts we touched on punitive damages in the context of one of the Pinnacle Hip bellwether trials. In this post, we address another interesting aspect of punitive damages: whether they can be used to punish a defendant for harms to nonparties. The short answer is no, but as discussed below, it is not as straightforward as you might think and it is essential to protect yourself with the proper jury instruction. Mayola Williams was the widow of a man named Jesse Williams. Mr. Williams, a resident of the State of Oregon, had been a heavy smoker for much of his life. Mr. Williams’s cigarette of choice was Marlboro, a brand manufactured by Philip Morris. Mr. Williams died from smoking-related lung cancer and, following his death, Mrs. Williams sued Philip Morris for negligence and deceit. Mrs. Williams sought compensatory and punitive damages claiming that Philip Morris falsely led her husband to believe that smoking was safe. Plaintiff presented evidence during trial of the harm allegedly caused by Philip Morris to Mr. Williams as well as possible harm to other third parties. However, no evidence was offered to establish an appropriate measure of damages to compensate such third parties for their injuries. The jury found Philip Morris liable and awarded Plaintiff $800,000 in compensatory damages and $79.5 million in punitive damages. The trial judge reduced the compensatory damages award to $500,000 and reduced the punitive damages award to $32 million. Plaintiff appealed and Philip Morris cross-appealed. The case eventually wound its way to the United States Supreme Court and on February 20, 2007, Justice Breyer, writing for the majority wrote that a punitive damages awarded based in part on a jury’s desire to punish the defendant for harming nonparties amounted to a taking of property from the defendant without due process. The Court cited the seminal punitive damages case of BMW of North America, Inc. v. Gore noting that while “[p]unitive damages may properly be imposed to further a State’s legitimate interests in punishing unlawful conduct and deterring its repetition . . .” However, the Court noted that a state’s punitive damages system might deprive a defendant of fair notice unless the state insists on standards to reign in the jury’s discretionary authority. The Court explained that Constitution imposes limits both on the procedures for awarding punitive damages as well as forbidding amounts that are grossly excessive. The Court began its analysis of the Constitution’s procedural limitations by looking at the Due Process Clause. The Court explained that the Due Process Clause “forbids a State to use a punitive damages award to punish a defendant for injury inflicted on strangers to the litigation.” The Court made three points in this regard. First, a defendant threatened with punishment for injury to a nonparty has no opportunity to defend against it. For example, Philip Morris had no opportunity to argue that some nonparty knew that smoking was dangerous. Second, allowing such punishment for harm to nonparties would add “a near standard less dimension to the punitive damages equation” by magnifying the concerns of “arbitrariness, uncertainty, and lack of notice.” For example, the Court mused, how many allegedly injured parties were out there? How seriously were they injured? We can easily imagine other questions as well that the Court did not articulate such as what efforts did the third parties take to mitigate their damages? Third, the Court found no authority to support using punitive damages to punish a defendant for harming others. The Court did note that it could be appropriate to consider the reasonableness of a punitive damages award in light of the potential harm that a defendant’s conduct might cause but that was the potential harm caused to the plaintiff, not to nonparties. Plaintiff Williams argued that she was free to show harm to other victims because it was relevant to reprehensibility, something that is considered when assessing punitive damages. In other words, harm to others shows a greater level of reprehensible conduct. 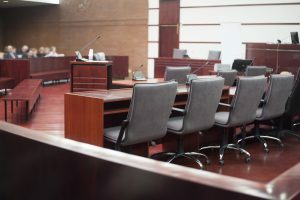 The Court did not deny that Plaintiff might be correct on this point, but noted that for the reasons above, it could not permit punitive damages to punish a defendant based on harm to nonparties. The Court remanded the case so that it could apply the standard articulated in the opinion. Needless to say that this issue of reprehensibility versus harm to third parties can lead to some confusion as the line between demonstrating reprehensible conduct and harm to third parties can become blurry. The Court in Williams recognized this noting a risk of misunderstanding. However, the Court addressed this by explaining that a court can protect against that risk by providing a proper jury instruction, upon request. Thus, the key take away from Williams is that if you are facing punitive damages where evidence of reprehensibility is being introduced and there is an indication that conduct may have harmed other nonparties, you must protect your company by seeking an adequate jury instruction which makes clear that punitive damages cannot be used to punish a defendant for harm or injuries to nonparties. The failure to do this in the trial court may very well result of a waiver of this issue on appeal.